The 2019 Australian Senior Solo Speedway Championship kicks off bright and early on January 3rd 2019 at Gillman Speedway, South Australia, and the seeded and qualifying line-up is locked and loaded! 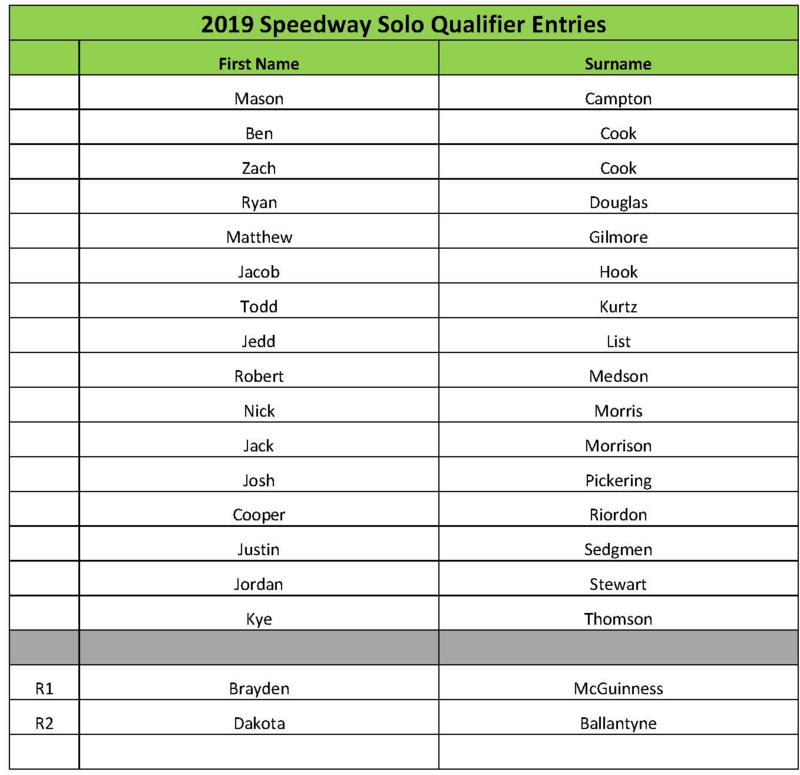 For the first time in three years, the Australian Senior Solo Speedway Championship will run a Qualifier the day before Round 1, where 16 selected riders will battle it out for the remaining eight spots in the Championship. Gillman Speedway will play host to the first round of the Championship, setting the bar higher than the South Australian Summer temperature! 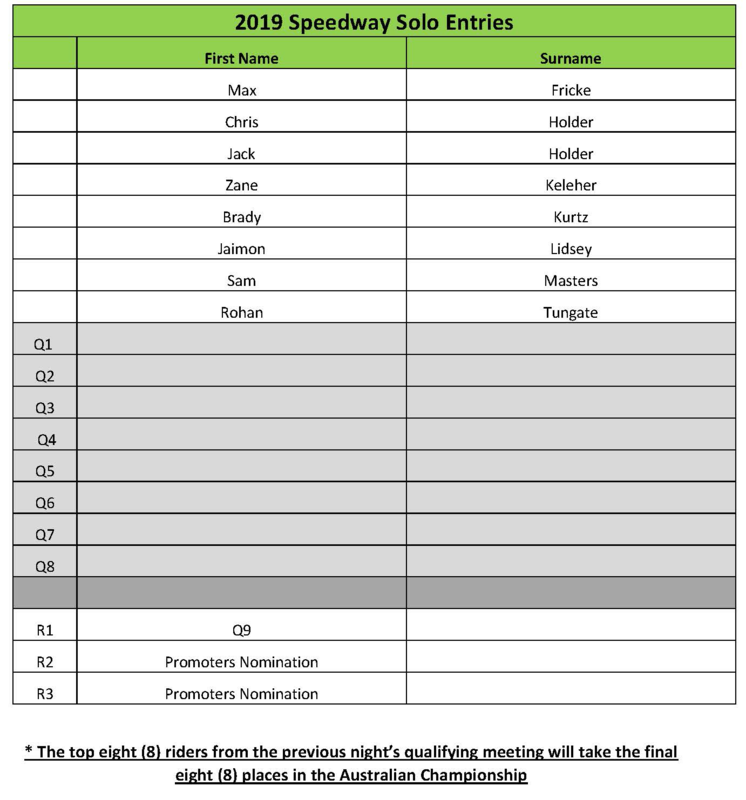 Round 1 will commence with the Qualifier on Wednesday night, January 2nd, where each rider will vie for their spot in the available eight places remaining on Thursday night. “This has been one of the strongest qualifiers we have experienced in quite some time! Yesterday’s draw was extremely tough, making our job even harder than in previous years. The field includes eight seeded riders, including the 2018 reigning Champion, Rohan Tungate, alongside the likes of Max Fricke, Chris Holder, Jack Holder and Jaimon Lidsey. At the close of Round 1, riders will move North to Mildura, Victoria for Round 2 on 5th January, followed by Round 3 on 7th January at Undera, Victoria. The penultimate round will be held on 9th January at Albury Wodonga, Victoria, with a close to the Championship at Kurri-Kurri, New South Wales on 12th January. Don’t miss a moment of the 2019 Championship by checking out the Australian Speedway Championship website, and following us on Facebook.